For a specific project with the Arduino – that I will publish later– I needed to switch a few 230 Volt appliances. This always makes me having to decide between a relay, a triac with optocoupler, or a ready made Solid state relay. SSR’s can be had for fairly little money with the 39MF22 only at 1.80 euro. For that money I am not buying mechanical relays and don’t mess with triacs. R1 is there to limit the current through the LED and the 39MF22. The LED shows when the switch is active. The 39MF22 comes in a DIL-8 but misses pin 7. 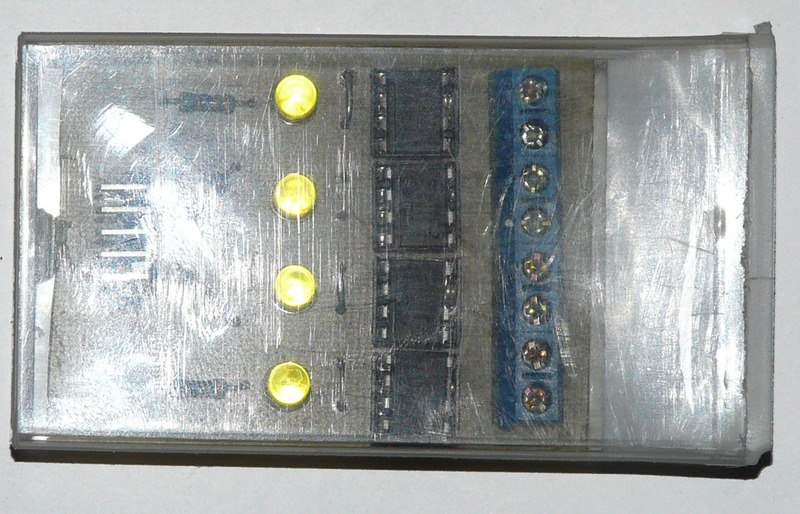 The switch is between pin 6 and 8. 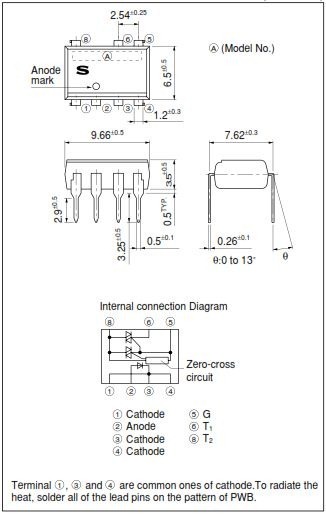 Pins 1, 3 and 4 are the ground connectors and need to be connected. It is advisable to connect them on a PCB to a little mass of copper so that can act as cooling. 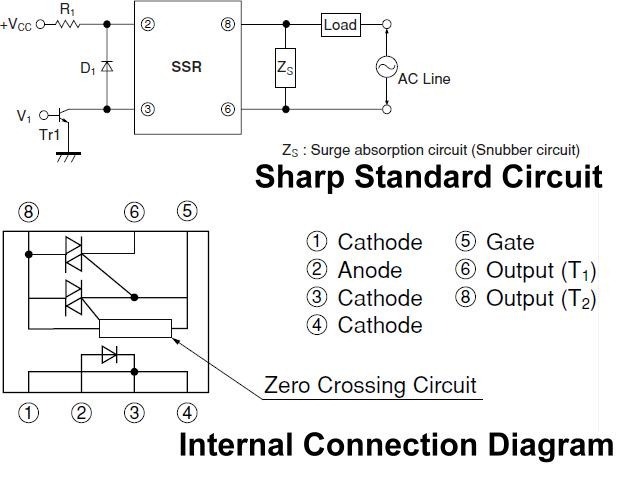 There is no snubber circuit as I prefer to have that closer to the load. One could however use a 100nF capacitor in series with a 100 ohm resistor. 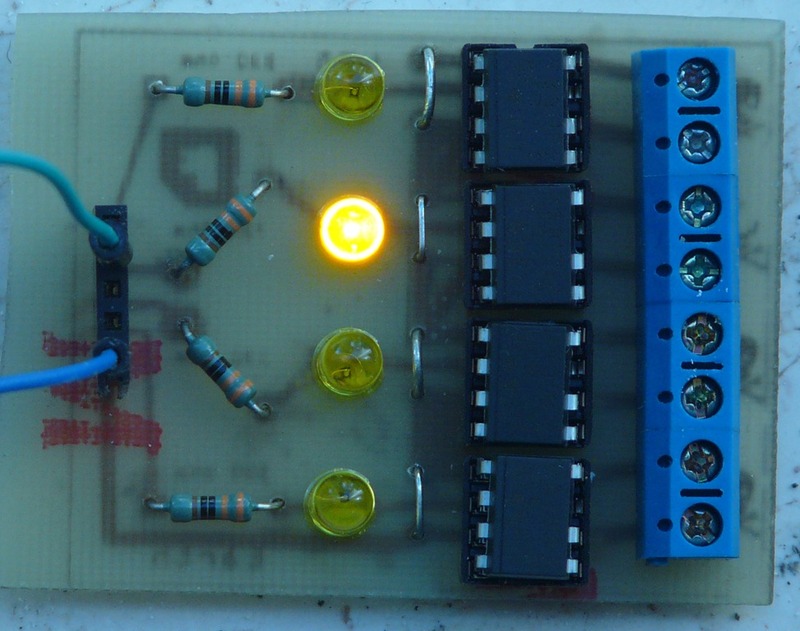 As I needed 4 switches, I just built the circuit 4 times on a PCB. 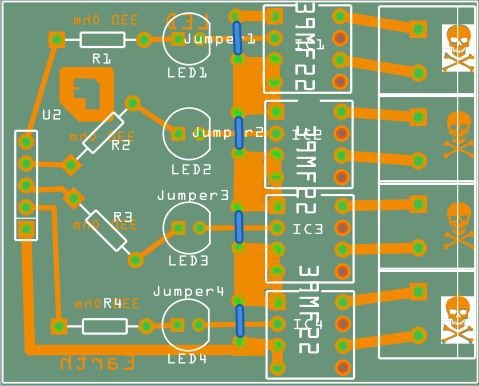 Initially I had considered mounting the circuit and the Atmega328 on one PCB, but I opted for a separate PCB out of safety concerns as it is switching 230 Volts. After finishing, I inserted the entire PCB in a plastic peppermint dispenser. The 39MF22 can handle 900mA and has an isolation voltage of 4kV. The datasheet can be found here. Nice, a video of this in action would be awesome, if possible! I was looking for something like this, so happy to share it.